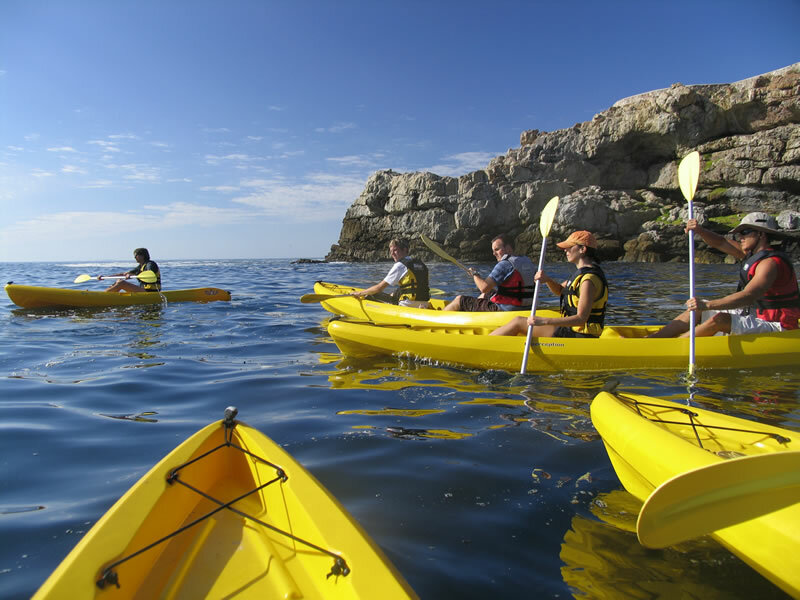 Sea kayaking is an exhilarating experience, bringing you face to face with some of the hidden wonders that the ocean bio-diversity has to offer. From the magic of the kelp forest below, to a myriad of shore and pelagic birds above, the diversity of life out there will open your eyes to a new wonderland.Our very popular trips are offered around the coastline. 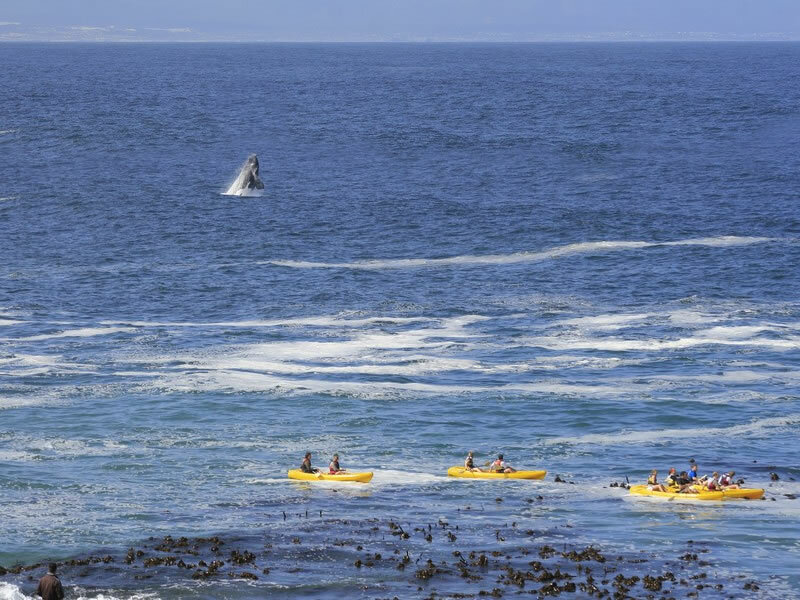 Hermanus – paddle within the marine reserve and in season have an opportunity of seeing the whales. We have to remain 300 metres from the whales and if they come closer, we have to move away. 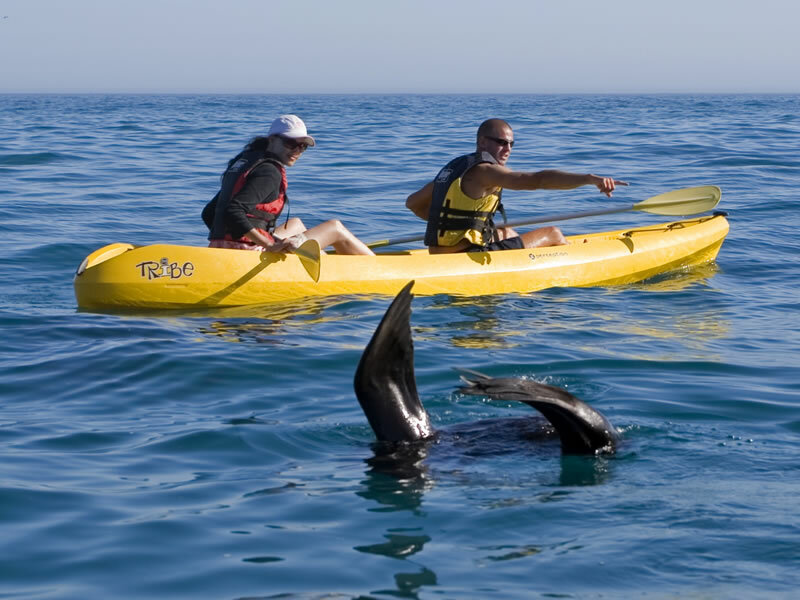 On our tours you will enjoy sightings of cape fur seals, penguins, cormorants and other sea birds and marine mammals. Whatever time of year this is an experience not to be missed. Duration 2 hours. No Experience necessary. 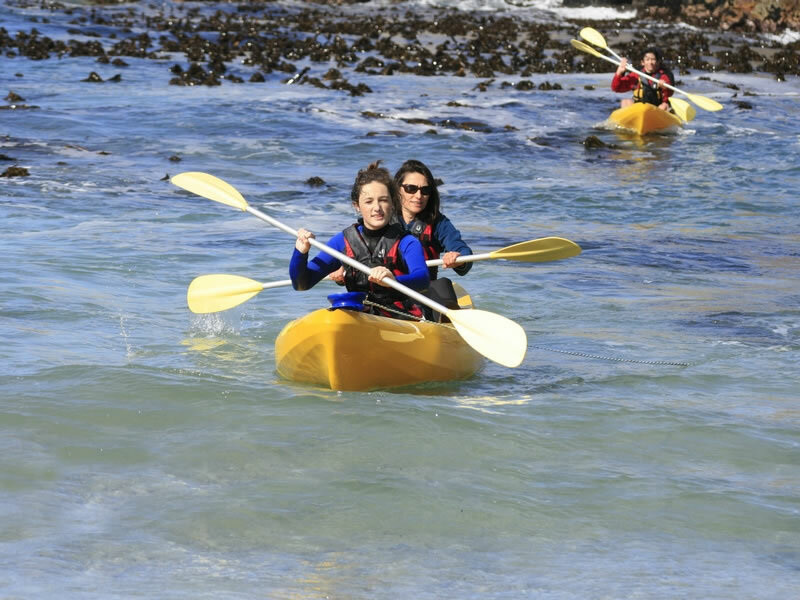 Simonstown – paddle out to the penguins at Boulders Beach. Please note that this is a reserve area and we may not beach the craft at Boulders.